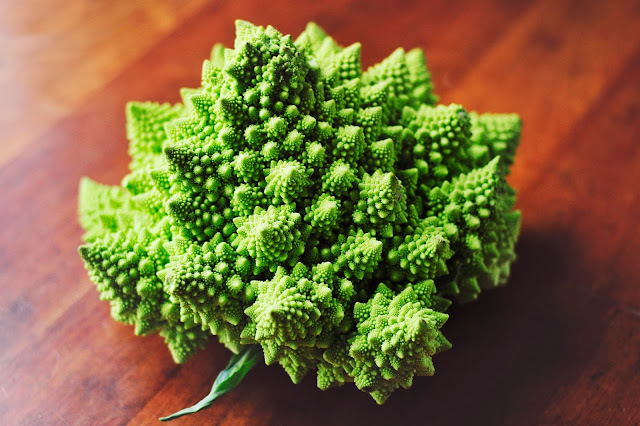 Romanesco is something I have never used before and when I walked in to Graul's (our local market) and saw this my daughter and I both reached for it at the same time. She knows me so well. I honestly had no idea what it was, what it tasted like or if we would even like it. My luck it could have easily been the pretty version of durian. Thank goodness it was not. They had it listed in the grocery store as "neon broccoli" so we had a small clue as to what it was. My friend told me it was a cross between broccoli and cauliflower. My family loves both of them and I knew I could use it at home. How would I use it: soup, side dish, raw or cooked. 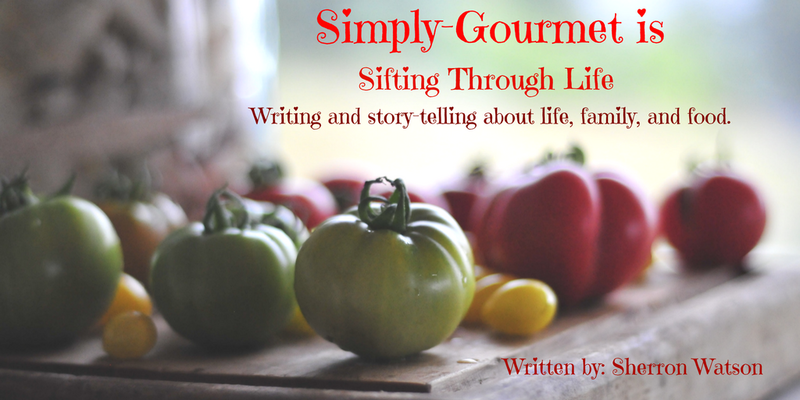 It took me a few days to decide on this recipe. It is nothing fancy but it preserved the look of this beautiful vegetable and allowed us to experience the flavor profile with few distractions. I served it with my homemade parmesan ranch dressing, some bacon pieces and of course, the browned butter. We served it similar to how you would serve a wedge salad. I steamed the whole head and then quartered it. We ate it for lunch or I should say we devoured our quarter. At first I thought maybe the wedge was too big for one person to eat. Lets just say if anyone tried to take a bite from my plate, I would bite them. 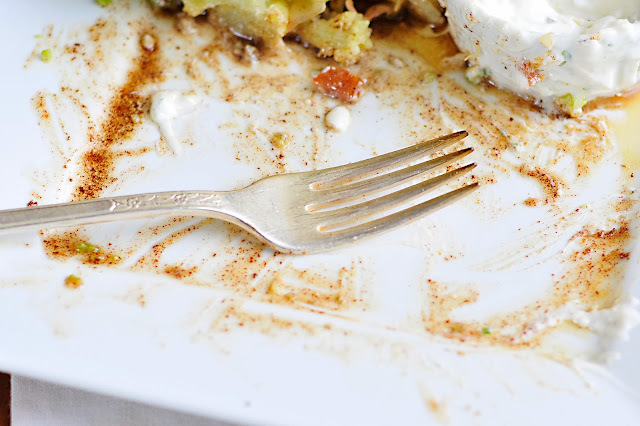 The browned butter was heavenly and I just don't share browned butter (mine, mine, mine). I am joking--sort of? I used the left over wedge to make some broccoli and cheddar soup. I found in the soup, it does have a stronger broccoli flavor than regular broccoli (just keep this in mind if you use it in soup). 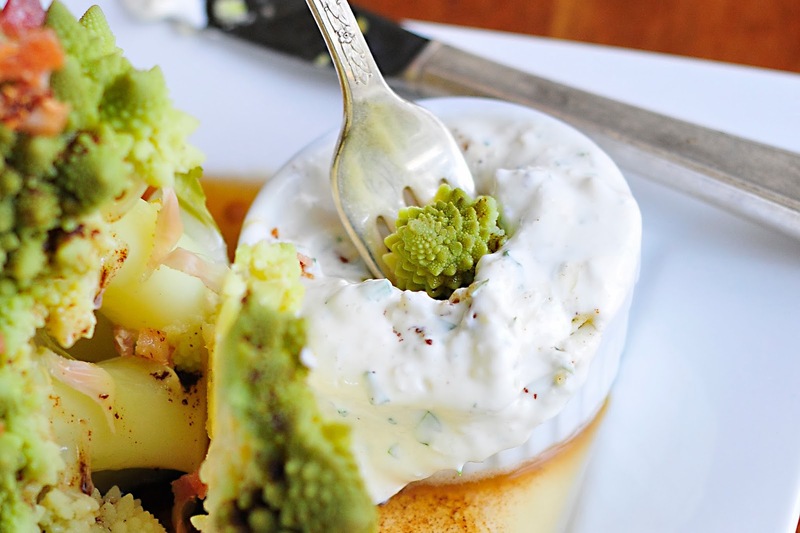 Please enjoy this simple side dish or Romanesco salad recipe. 1. Trim romanesco of all green leaves and wash well. 2. In a pot large enough to steam the romanesco, add 1 inch of water and place a steaming basket inside. 3. Turn your oven to medium high and bring to a boil. Add romanesco and steam for 12 minutes. I like mine soft enough to put a fork into the dark "tree like" parts. The stem may need a bit more time or this can be removed before serving to your guest or family. 4. To make the butter, I melted butter in a non stick egg pan (it was the perfect size). Turned heat to medium and browned the butter. It took about 5 minutes. The butter smells nutty and there is brown residue on the bottom of your pan. Remove from heat. Be careful to not burn the butter--it will ruin the flavor. 5. 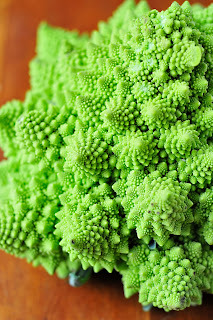 Remove romanesco from steaming pot and quarter. 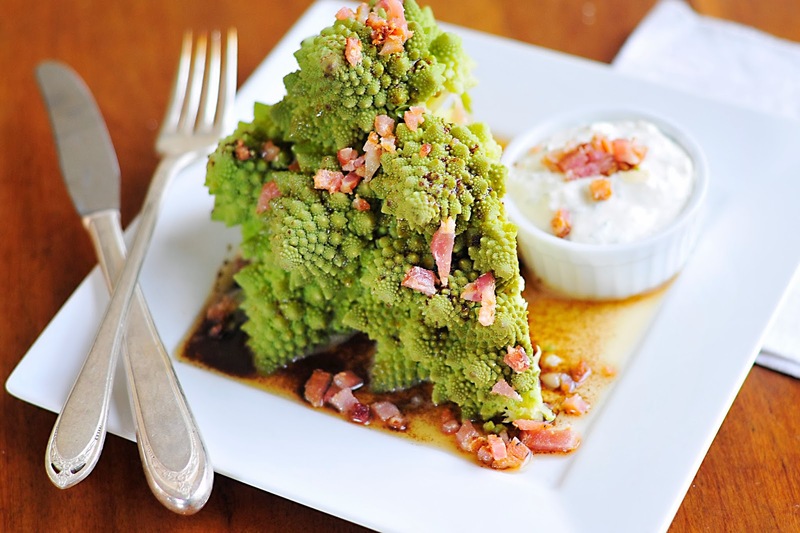 On a plate, add a pool of brown butter or drizzle the brown butter over the romanesco. I did a little of both. I served it with a cup of dressing and sprinkled the bacon pieces over the top.